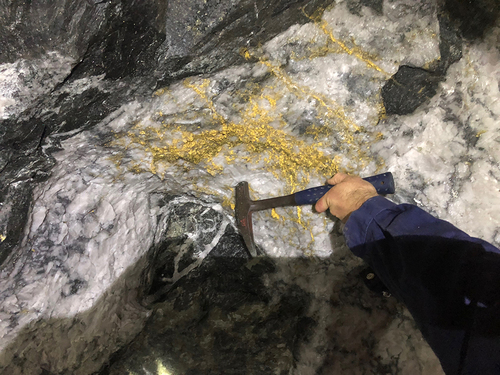 Extremely rich aggregate of visible gold in mine face on the 15 level of the Beta Hunt mine, Kambalda, Coolgardie, Western Australia. Courtsey of RNC Minerals. 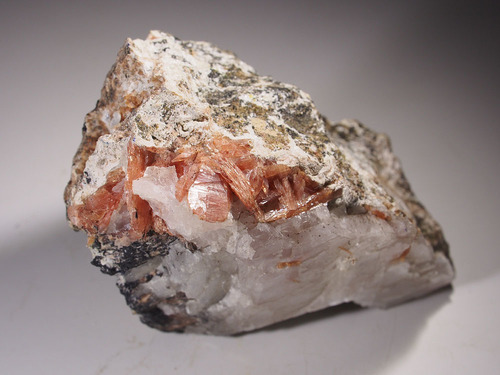 White crystals of Lecontite to 4 cm on Cu-bearing crystals of Salammoniac from a pond 2,7 km from the Coronel Manuel Rodriguez mine in Mejillones, Antofagasta, Chile. 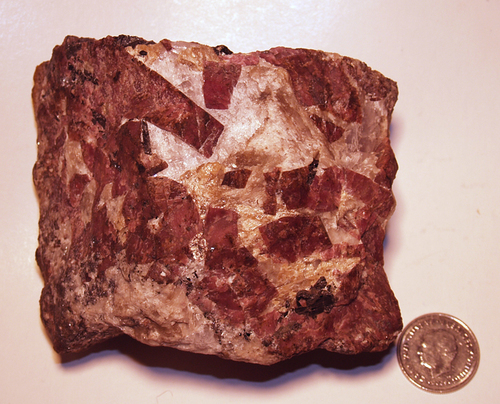 Specimen and photo from the Rockingstone, Peru. 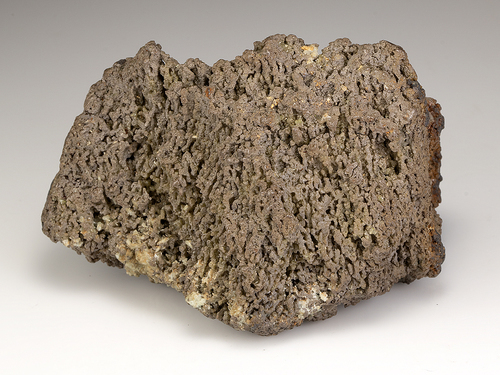 A solid mass of Chlorargyrite Xls with scattered Smithsonite crystals from Broken Hill, Australia. 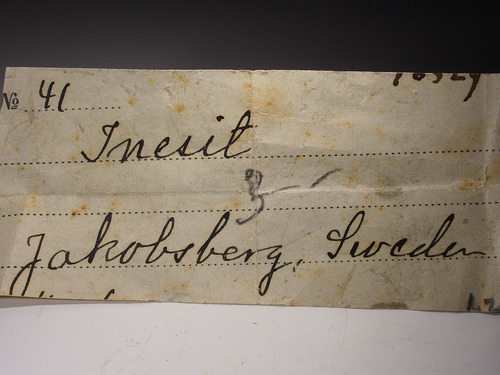 Specimen and photo obtained from Dan Weinrich. 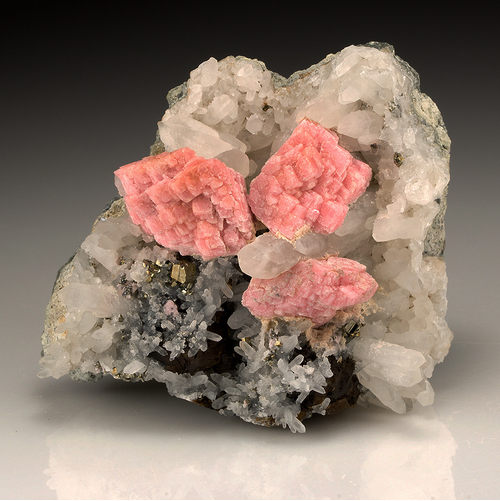 Rhodochrosite crystals with a satiny luster and a rich pink colour with quartz, pyrite and sphalerite from the 11th level of the Potosi mine at Santa Eulalia, Chihuahua Mexico. Specimen and photo from Dan Weinrich. 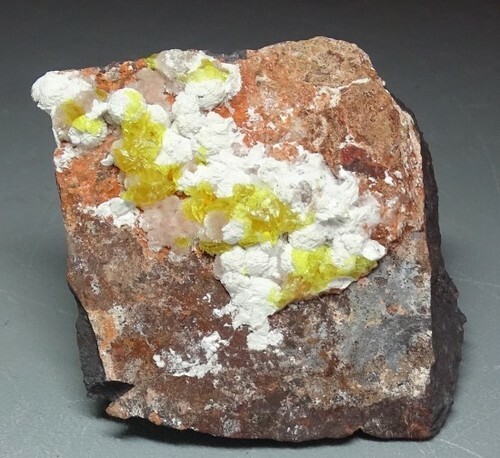 Yellow crystals of Jouravskite to 7 mm with white aggregates of Xonotlite and aggregates of pink crystals of Bultfontainite. 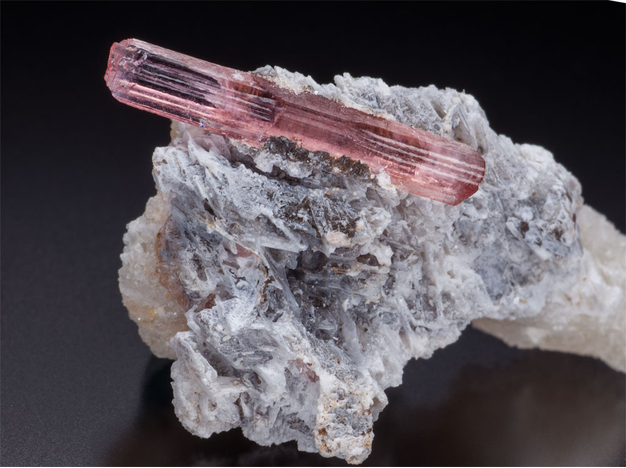 Specimen and photo from Trintyminerals/John Veevaert. 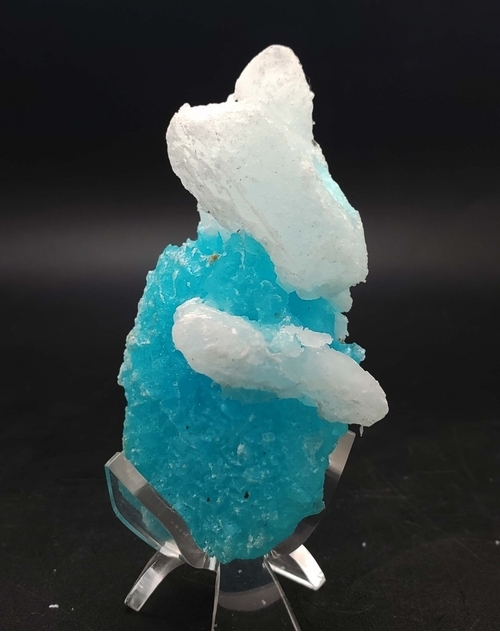 Inesite crystals in Calcite from the Jakobsberg mine, Sweden. 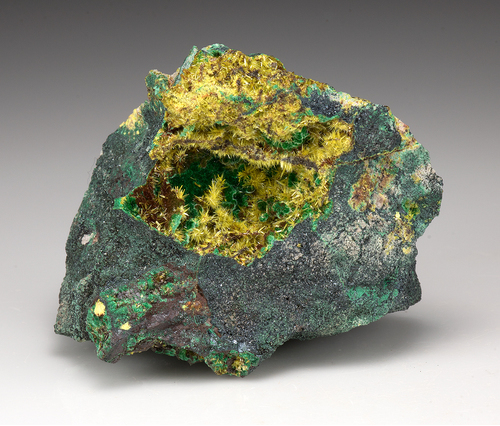 Uranophane crystals with Malachite crystals in a cavity in Digenite from Katanga, Democratic Republic of Congo. Obtained from Dan Weinrich.